Trawick Safe Travels International medical insurance is an excellent plan for almost every type of international travel! This is great travel health insurance for vacations, business trips, international work with humanitarian, NGO, Non-profit, or Not For Profit and faith based organizations. Many of our clients secure this for trips around Europe for example. It is also used as international Missionary Insurance within the faith-based community. One of the great things about this plan is that is provides up to $50,000 of medical coverage for those over age 80. Regarding this, the daily rate is very close to other plans’ and the coverage is much higher on the Trawick International. There is a lot more than this to the Trawick international insurance as regards coverage. Let me go into a little more detail for you! There are two areas of coverage which are International and the America, for those traveling to the U.S.A. The rates differ on the Trawick America solely because medical expenses in the U.S. are very high. The plans will cover outside one’s home country; place of permanent residence. However, there is the option to add a rider for Home Country Coverage, in case of an incidental trip in your home country. The plan as it comes is loaded with benefits to cover medical expenses, Medical Evacuation, Accidental Death and Dismemberment, Political Evacuation, Repatriation (or return) of Remains, and travel insurance benefits such as Lost Baggage (can be increased) and Trip Interruption. All of these provisions have their own coverage limits which means that the overall medical Maximum Limit is only for medical expenses. Even the international medical evacuation insurance is separate, being covered up to $2,000,000. One other exclusive benefit is that the Trawick insurance plans are primary coverage, which means they pay claims without regard to any other health insurance. 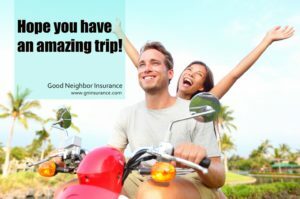 You can have the peace of mind that you have amazing protection when you secure this coverage for your travels! As regards medical evacuation, this is essential for most international travel. In fact, it is even typical for all our short term international travel health insurance to have medical evacuation coverage. Even if you have a great hospital in your destination, they may not be equipped to handle certain types of medical conditions. If one of those conditions happened, a medical evacuation will most likely be needed. Being very expensive, we surely want to be sure that you and your loved ones are covered in this area. A medical evacuation is needed when there is a covered injury or illness that cannot be treated locally. You or someone with you would need to contact the company, and the company will communicate with medical personnel on the ground and take you to the nearest adequate medical facility for appropriate care. Additional coverage: There are many things that you can do to add and modify your coverage. You can increase Accidental Death and Dismemberment and Lost Baggage coverage. There are also riders that you can add for sports coverage and home country coverage. There are two forms of coverage for sports. One is considered hazardous activities or extreme sports, such thigs like paragliding and spelunking. The other is for organized sports: club sports, amateur sports, intercollegiate and interscholastic sports such as football, archery, and rugby. Professional and semi-professional sports are never covered, and neither are is every sport covered. It is always good to check with us if you are not sure about a sport being covered. Home Country Coverage is a two part addition. You have coverage for incidental trips to your home country, as well as coverage back home (Follow Me Home) if you have any covered medical conditions that require further treatment after your trip. When you modify the baggage benefit ($75 per article), it becomes the Enhanced Baggage Benefit. This will increase the benefit and add baggage delay as a provision. The value per article is $300 for electronics or valuables, and up to $500 for other things. Pre-existing conditions: Pre-existing conditions are medical conditions that have been diagnosed or treated in the past, and prior to the effective date of coverage. Normally, pre-existing conditions are excluded from coverage. However, there is a provision on the Trawick International and America for an Unexpected Recurrent of a Pre-existing Condition. There is limited coverage for unexpected emergencies regarding pre-existing conditions. On the America, coverage is limited to $1,000 and is subject to the deductible and coinsurance. On the International, coverage to age 65 is limited to $20,000. For those over age 65, the coverage is $10,000 and is subject to deductible and coinsurance. If you need coverage for pre-existing conditions, we have other options as well. If you are traveling for your child’s international football or soccer tournament, you can get this insurance for your child and for yourselves! Your child would be covered for normal new injuries and illnesses, and also be covered for injuries that could happen while playing the sport. You will have great medical coverage, and you all could have the Enhanced Baggage Benefit in case there are some troubles with baggage on the way to or from. Yet, in general, The Trawick International and America are excellent international health and travel insurance which are widely used by families on vacation and tours, international travelers, those in the faith-based community as missionary insurance, those playing competitive sports for international sports insurance, and volunteers as their health insurance overseas.